Long Beach, CA – Laserfiche, a pioneer in the digital document management industry, is pleased to welcome Triage Data Solutions as its latest value-added reseller (VAR). Triage will provide Laserfiche document management solutions to customers in British Columbia and Alberta. 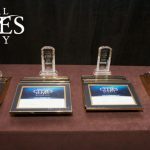 Triage Data Solutions, Inc., is a full-service document management company that has been providing leading edge solutions to the business community throughout North America since 2000. Through innovation, experience and a commitment to customer service, Triage has become a recognized leader in delivering company-specific document management solutions that enable companies to become more efficient and profitable through better organization and productivity. Triage Data Solutions has the expertise to provide document management solutions specific to any organization’s needs. For more information, please visit www.triagedata.com. Laserfiche distributes software through a worldwide network of value-added resellers (VARs), who tailor solutions to clients’ individual needs. 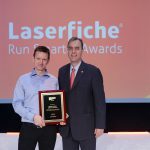 In recognition of the outstanding training and support we provide our resellers, the Laserfiche VAR program has received the Five-Star Rating from VARBusiness magazine. For more information, please visit www.laserfiche.com.